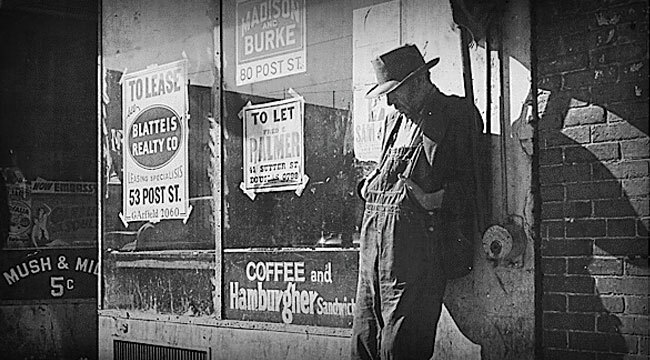 Beneath the rah-rah statistics of “the greatest economy ever,” the social depression is accelerating. The mainstream is reluctantly waking up to the future of the American Dream: downward mobility for all but the top 10% of households. A 2015 Atlantic article fleshed out the zeitgeist with survey data that suggests the Great Middle Class/Nouveau Proletariat is also waking up to a future of downward mobility: The Downsizing of the American Dream. People used to believe they would someday move on up in the world. Now they’re more concerned with just holding on to what they have. I have been digging into the financial and social realities of what it takes to be middle class in today’s economy for years. The reality is that the middle class has been reduced to the sliver just below the top 5% — if we use the standards of the prosperous 1960s as a baseline. The downward mobility isn’t just financial — it’s a decline in political power, control of one’s work and income-producing assets. Downward mobility excels in creating and distributing what I term social defeat: To me, social defeat is a spectrum of anxiety, insecurity, chronic stress, powerlessness, and fear of declining social status. 9. A generational abandonment of marriage, families and independent households as these are no longer affordable to those with part-time or unstable employment, i.e. what I have termed (following economic and social theorist Jeremy Rifkin) the end of work. The rising tide of collective anger arising from social depression is visible in many places: road rage, violent street clashes between groups seething for a fight, the destruction of friendships for holding the “incorrect” ideological views, and so on. A coarsening of the entire social order is increasingly visible. Depressive thoughts (and the emotions they generate) tend to be self-reinforcing, and this is why it’s so difficult to break out of depression once in its grip. One part of the healing process is to expose the sources of anger that we are repressing. As psychiatrist Karen Horney explained in her 1950 masterwork, Neurosis and Human Growth: The Struggle Towards Self-Realization, anger at ourselves sometimes arises from our failure to live up to the many “shoulds” we’ve internalized, and the idealized track we’ve laid out for ourselves and our lives. The recent article, The American Dream Is Killing Us does a good job of explaining how our failure to obtain the expected rewards of “doing all the right things”(getting a college degree, working hard, etc.) breeds resentment and despair. Since we did the “right things,” the system “should” deliver the financial rewards and security we expected. This systemic failure to deliver the promised rewards is eroding social mobility and the social contract while generating frustration, anger, etc. We are increasingly angry at the system, but we reserve some anger for ourselves, because the mass-media trumpets how well the economy is doing and how some people are doing extremely well. Naturally, we wonder, why them and not us? The failure is thus internalized. One response to this sense that the system no longer works as advertised is to seek the relative comfort of echo chambers — places we can go to hear confirmation that this systemic stagnation is the opposing political party’s fault. We don’t just self-sort ourselves into political “tribes” online — we are congregating in increasingly segregated communities and states. Americans are moving to communities that align more with their politics. Liberals are moving to liberal areas, and conservatives are moving to conservative communities. It’s been going on for decades. When Jimmy Carter was elected in 1976, 26.8% of Americans lived in landslide counties; that is counties where the president won or lost by 20% of the vote. By 2004, 48.3% of the population lived in these counties. This trend continues to worsen. As Americans move to their preferred geographic bubbles, they face less exposure to opposing viewpoints, and their own opinions become more extreme. This trend is at the heart of why politics have become so polarizing in America. The failure to prosper as anticipated is generating a range of negative emotions that are “un-American”: complaining that you didn’t get a high-paying secure job despite having a college degree (or advanced degree) sounds like sour-grapes. The message is you didn’t work hard enough, you didn’t get the right diploma, etc. It can’t be the system that’s failed, right? I discuss this in my book Why Our Status Quo Failed and Is Beyond Reform. The top 10% who are benefiting mightily dominate politics and the media, and their assumption is: the system is working great for me, so it must be working for everyone. That’s the implicit narrative parroted by status quo mouthpieces. The inability to express our despair and anger generates depression. Some people will redouble their efforts, others will seek to lay the blame on “the other” (some external group) and others will give up. What few people will do is look at the sources of systemic injustice. 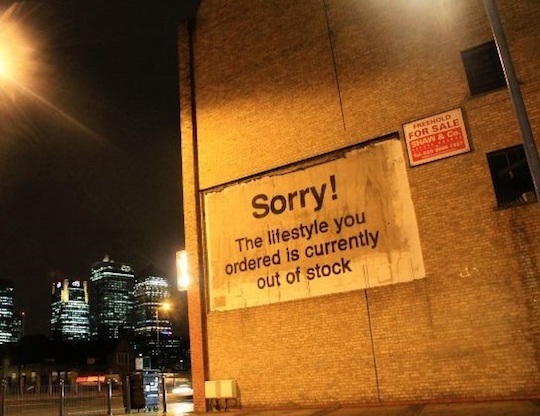 Perhaps we need a national dialog about declining expectations, rising inequality and the failure of the status quo that avoids the blame-game and the internalization trap (i.e. it’s your own fault you’re not well-off). We need ways to express our resentment, anger, despair, etc. that are directed at the source, the complex system we inhabit, not “the other.” We need to value honesty above optimism. Once we can speak honestly, there is a foundation for optimism.